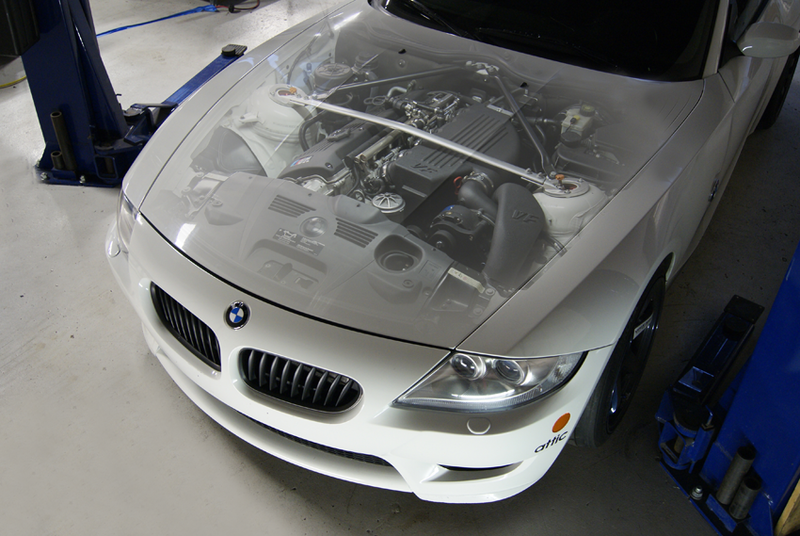 The VF-Engineering supercharger for the BMW E85 Z4M S54 engine is the only water cooled supercharger system on the market. Designed to provide the most consistent charge temperatures under aggressive driving, the VF water intercooler system has a greater propensity to dissipate heat energy out of the air charge than an air intercooler. VF use state of the art production manufacturing processes to create the highest quality supercharger kit on the market. A supercharger system designed with 2 stages of power, each stage up-gradable to the next, this piece of kit is for quality discerning enthusiasts only. Based upon the Vortech V3 Si-trim Super Quiet unit, this unit is capable of supporting over 700hp. The centrifugal supercharger compressor maps ideally match the 8000 rpm revving S54 BMW Motorsport engine giving it a new meaning to high performance. The high displacement bypass valve recirculates air charge off-throttle to minimize manifold pressure instantly. The bypass valve is mounted on a universal flange allowing you to opt for a blow off valve. The injectors are upgraded with high capacity Bosch EV14 high impedance quick response fuel injectors and calibrated by re-tuned software flashed into the ECU through the OBD2 port. This system has been fully road tested and dyno tuned on both the Mustang MD500AWD and in-house Dynojet 224XLC dynamometers with and without engine load. Each power level is tuned with a specific custom calibrated software version. This product is not designed to pass US OBD2 readiness. This product is not CARB approved and not legal for use on public roads in California or emissions controlled states. This applies to any aftermarket product that does not display a CARB EO#. Power ratings are subject to conditions and dynamometer model used.